Ubisoft big dog Yannis Mallat says gamers will embrace always-on gaming as soon as they're able to stop worrying about it. There are several reasons to be wound up about the prospect of an always-on game console, as the next Xbox is strongly rumored to be. Perhaps you live someplace with less than rock-solid internet service, or maybe you bore first-hand witness to the SimCity fiasco and don't feel overly inclined to trust your future gaming experiences to a mandatory connection to some central server somewhere. Or it could be a matter of principle; maybe you just don't like other people and can't abide the idea of even a tangential connection to them while you play. Whatever the reason, an awful lot of gamers have expressed an awful lot of concern that Microsoft's next console will require a constant connection in order to function. But Mallat said people will stop worrying about such things as soon as the industry demonstrates that there's really nothing to worry about. "As soon as players don't have to worry, then they will only take into account the benefits that those services bring," he told the Guardian. "And I agree, these services need to provide clear benefits. It's important to be able to provide direct connections between us and our consumers, whether that's extra content or online services, a lot of successful games have that." As for whether or not the world is ready for an always-on console, he said that's a question that should be put to Sony and Microsoft, but added, "I would say that a lot of people are already always online through other devices - I would suspect that the audience is ready." I wouldn't say he's necessarily wrong, and in fact he's dead-on when he says that the debate will go away as soon as the reasons for worrying do. The trouble is that so much of is is based on infrastructure, or lack thereof, and that's not something that any console manufacturer can do anything about. 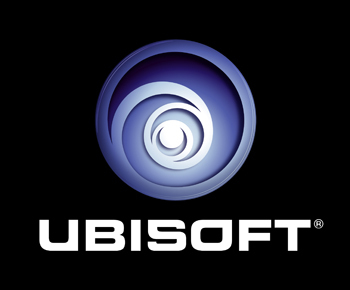 And even when infrastructure is solid, a dependence on remote servers is going to blow up in your face sooner or later - as Ubisoft, of all companies, should very well know.